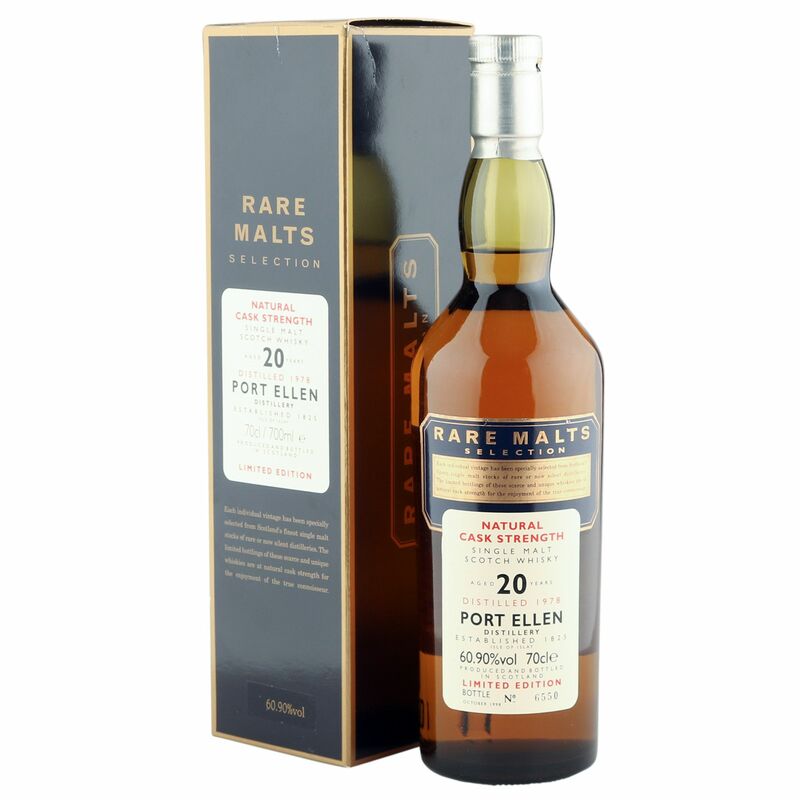 This limited release Islay malt was distilled at Port Ellen in 1978 and matured for 20 years before being bottled for the Rare Malts Selection in October of 1998. With this being the first ever official single malt bottled to go on sale from this legendary distillery in 1998 and gaining an excellent 92 points from WhiskyFun, it is of no wonder why this is often high on many connoisseurs and collectors' wish list. Supplied in excellent condition with original box, the fill level is well into the neck - see image for fine detail.